I knew I had a lot of photos in kissing scenes but I guess most of that are with my hubby.. hehehe.. I am currently transferring my photos from my harddrive to Lacie so I could not really check on all photos at the moment. I had to make this post fast so I searched right away during Alexa 1st birthday party. 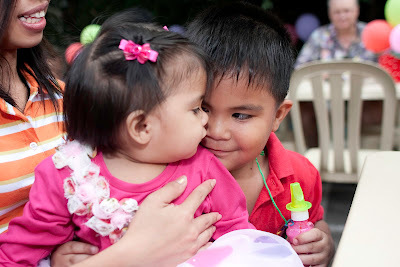 So, feast your eyes with our kissing scene shots with my little mini me. 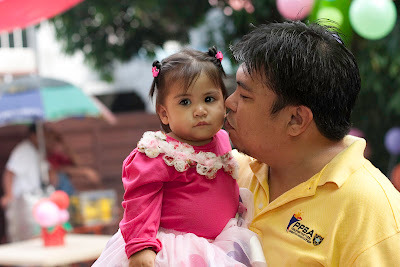 These photos were taken on December 10 while we were getting ready for Alexa's day. Thanks to our photographer Chris Rudio for superb shots. 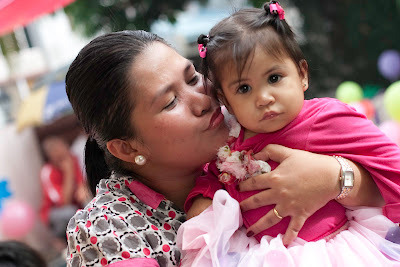 For more Mommy Moments, click the badge below and visit Chris of Mommy Journey! what a sweet family you got there!